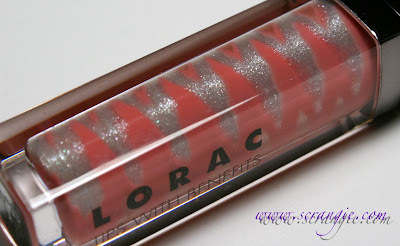 LORAC has a brand new gloss collection out for Spring 2012. LORAC makes one of my favorite glosses of all time (the Multiplex 3D duochrome ones), so I was quite excited to hear that they were adding a new type of gloss in their lineup. Are they as fantastic as the Multiplex ones? No, not exactly, but they're still pretty cool. Take a look. 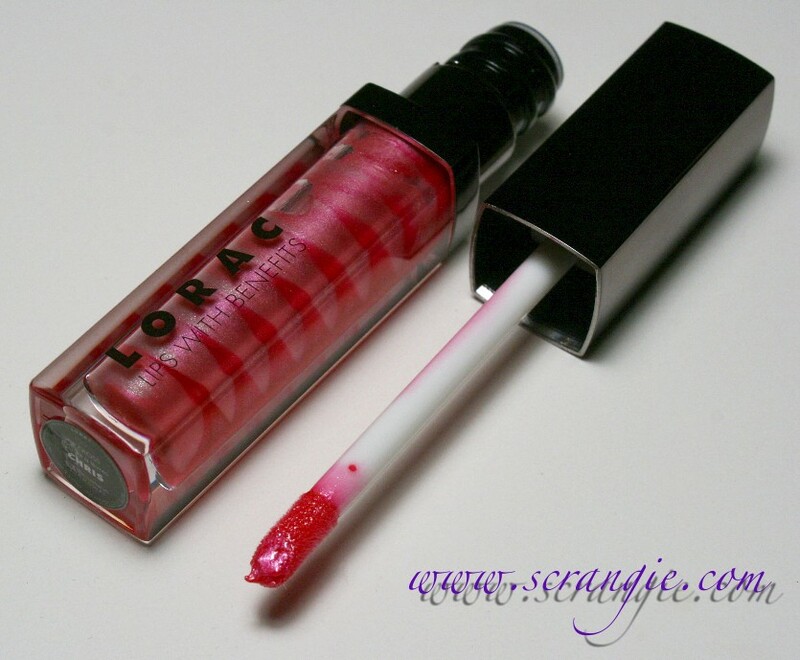 The brand new LORAC Lips with Benefits glosses are an extremely visually-appealing layered gloss. 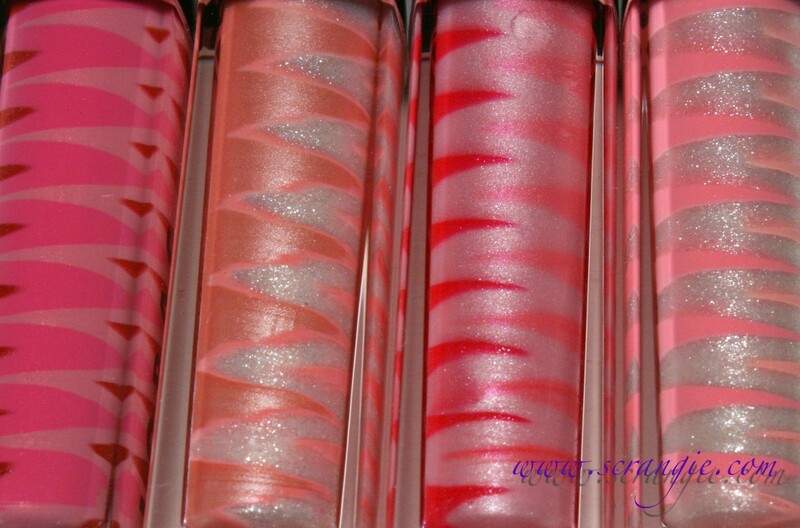 They each consist of four different shades layered in swirled in each tube. When applied, the swirls of color combine on the lips to make another color. 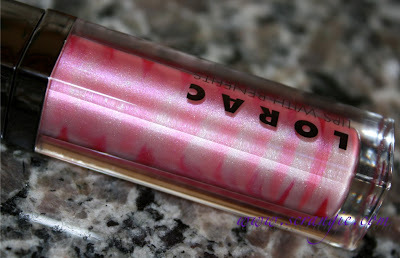 A little bit like those tie-dye glosses they did a while back. 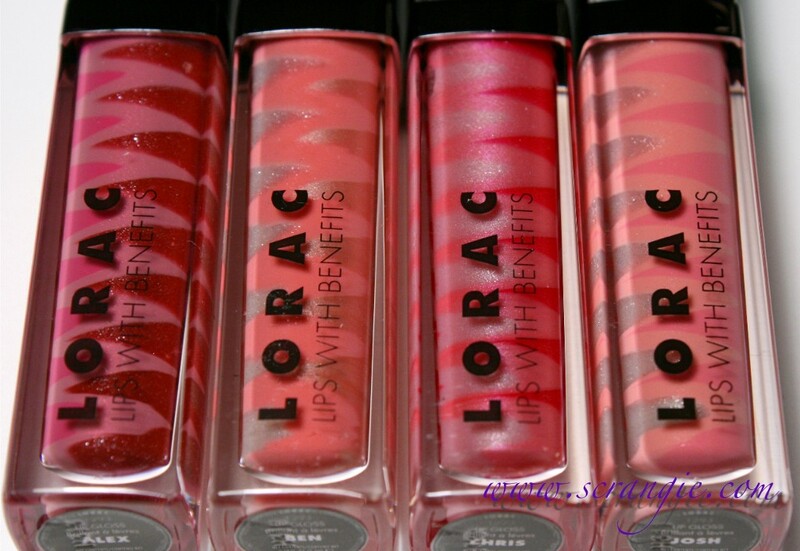 The Lips With Benefits formula is also supposed to have some nice vitamins (Vitamins C and E) and antioxidants (acai and pomegranate extracts, vitamin C) to care for the lips and provide a non-sticky, hydrating formula. 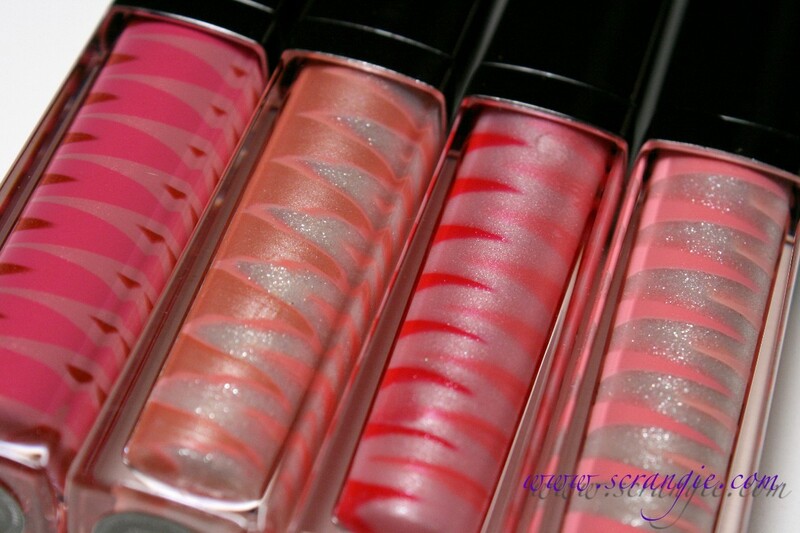 These are one of the coolest looking glosses ever. They're way too pretty and interesting for just one picture of each, so I took about a million. Please click on any of them if you'd like to see more detail. The shades are Alex, Ben, Chris and Josh. They come equipped with the standard doe-foot wand applicator. Another thing about these that's really nice is that the pattern is different on each side of the gloss. 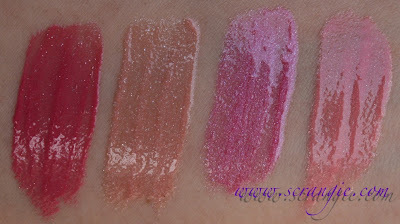 The glittery colors in these look especially cool unmixed. Here's a closer look at each shade. This is after about half a dozen uses. 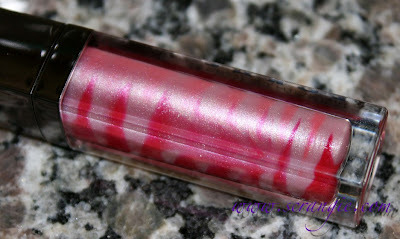 It doesn't look too bad, but you can see that the colors will eventually just blend together in the tube. In natural light and with flash. Alex, Ben, Chris, Josh. You can see that a little of the silver sparkle that's there in the tube does show up in the final color. 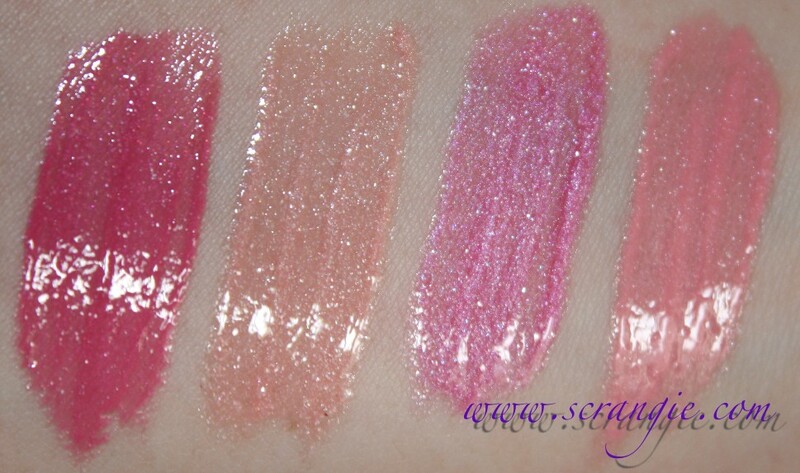 I wouldn't call it glittery, but there are some good sized silver sparkles in each shade. They smell amazing- a sweet but slightly caramel-like burnt sugar scent, just like the layer of caramelized sugar on top of crème brûlée. 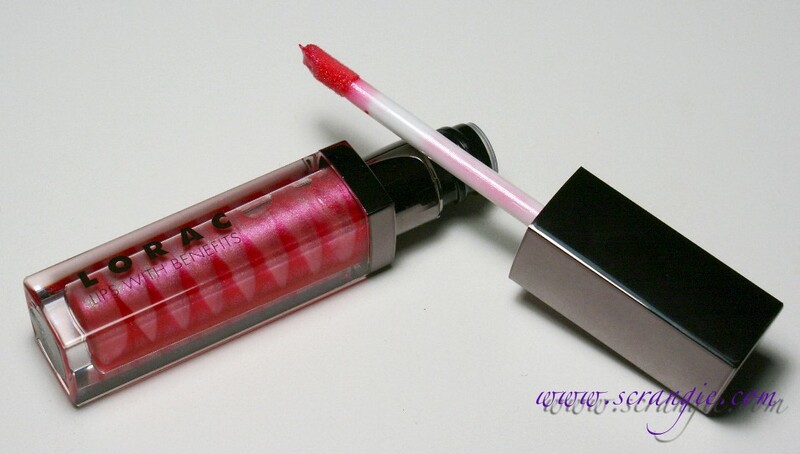 Very good applicator, easy application. Smooth, silky, completely non-sticky formula. Decent wear time, they're not so slippery that they wear off immediately. Pretty good amount of product in the tubes (0.19 oz). The design eventually gets destroyed, and the design is one of the main reasons I like these. Has a bit of an odd taste to it, but nothing terrible. It doesn't taste exactly like it smells and it's not sweet like the Multiplex glosses. 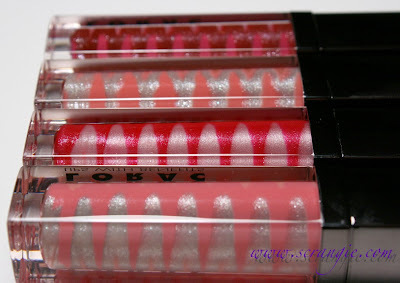 They're on the pricey side ($18), but still not as much as the Multiplex ones ($22 for 0.17 oz). These tend to look a little frosty when they're on, probably from all the fine silver and white shimmer. 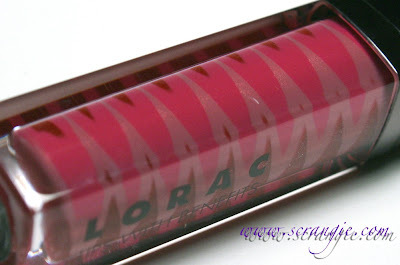 Hard to tell how the gloss is going to look when it's on because the colors are unmixed in the tube. Not moisturizing, but not drying either. I expected a more slippery, balmy-feeling gloss formula. 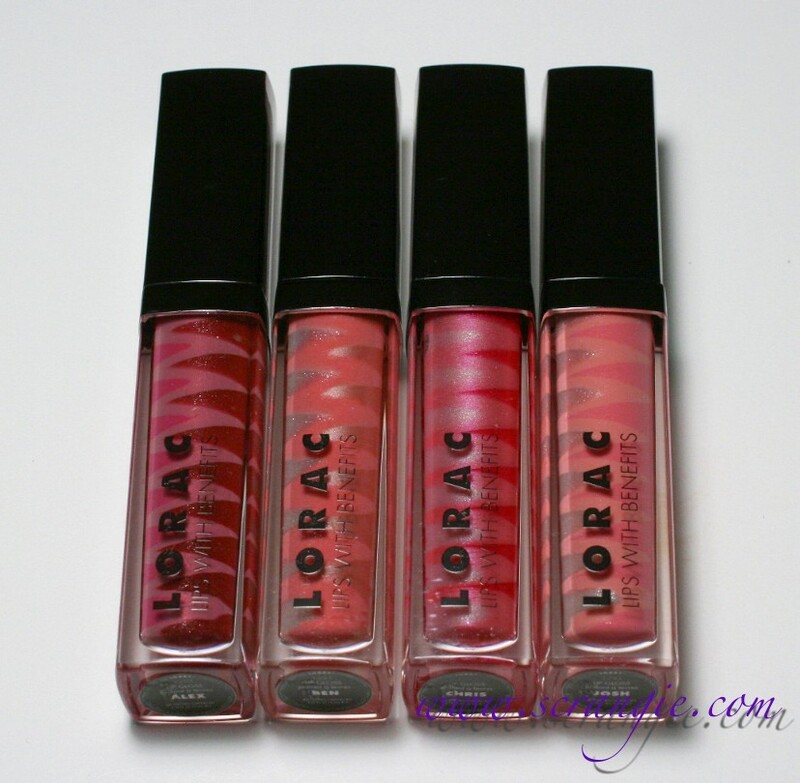 Overall, I like these for the novelty factor of the swirled design, the comfortable non-sticky formula, and the awesome sugary scent, so I think I might pick up the rest of the shades. 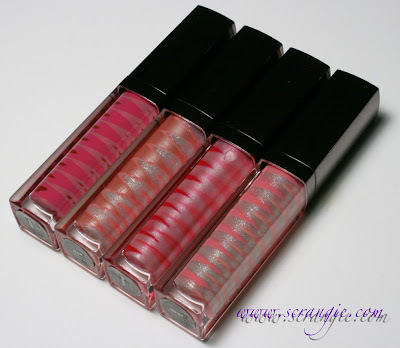 Sephora only carries four shades, but Ulta has seven. My favorite one is Alex and my second favorite is Chris. Alex was a bit of a surprise- it turned a slightly warmer, slightly darker rosy shade than I thought it would be and it's really nice on me. I don't have another gloss like it. 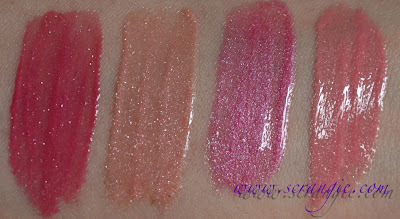 The two lighter shades (Ben and Josh) are too light and frosty for me when applied heavily, but look nice blotted down. These are limited edition. $18 each from Sephora (Alex, Josh, Nick and Mark) or Ulta (Mark, Nick, Chuck, Ben, Josh, Andy, Chris). Nice, I would definitely try it. 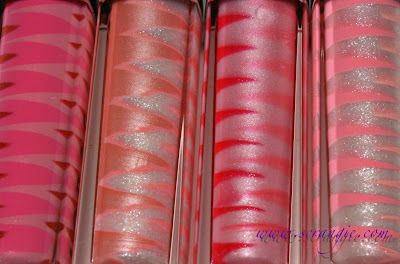 Love the lusciousness, shiny lips, yum! Never saw lip gloss with male names before. They sound nice, but look too shimmery for my liking. 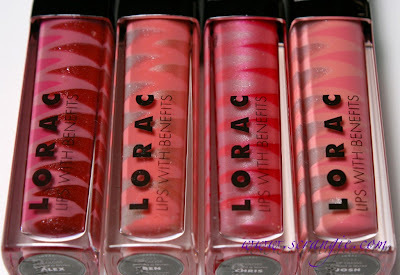 I'm a sucker for tasty smelling lip products... usually they're fruity, though- but a sugary sweet scent would be awesome. Might have to try these out! Thanks for the review! 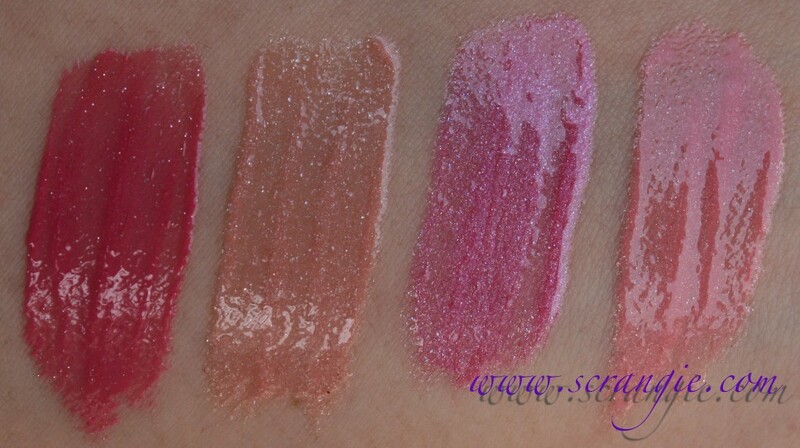 These are all really pretty and the blended shades look great too. I especially like Alex and Nick (though it's odd they have male names!). 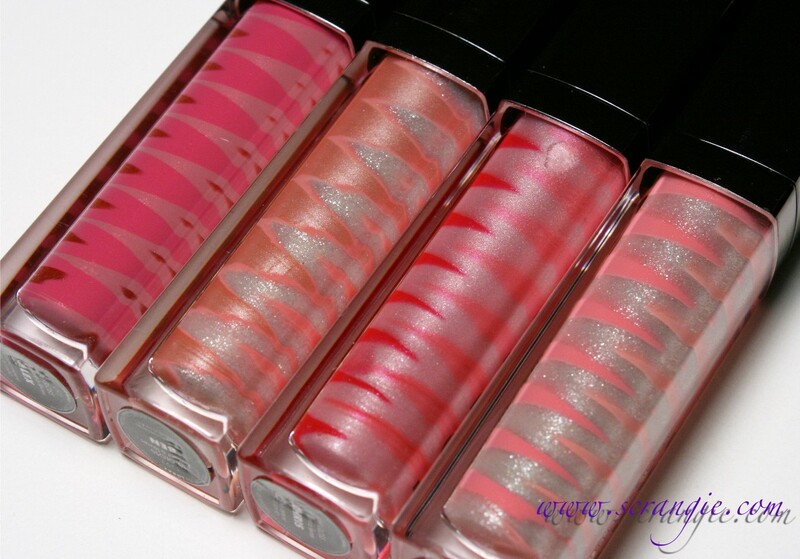 Avon have something similar, their Onyx Lustre Tri-Lip Gloss, though they only have three colours and they're just layered, not swirled like these ones are. Those are really cool. I also like the shades. Shame it will get mixed together. 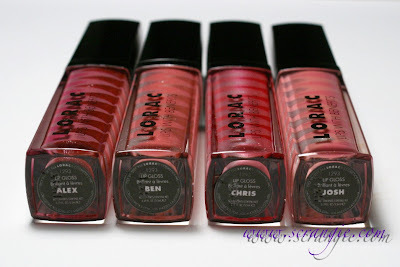 The males names reminds me of the Urban Decay Pocket Rocket lip glosses. 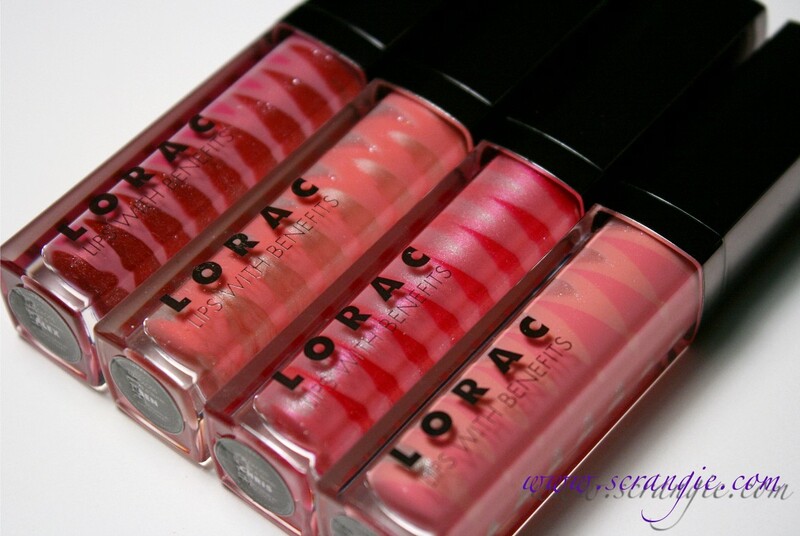 OOH, I love lorac anyways, but these colors are just..i must have them all! The pattern is really neat (too bad it disappears). Alex looks the most appealing - all the colors look nice but Alex looks the least frosty.